The tagline, “sometimes dead is better,” is a reminder that life isn’t everything. All things must pass, including us… but what if there were a way to raise the dead? We’ve asked ourselves this question since time immemorial. Pet Sematary asks a secondary, and more sinister question: what if the dead weren’t the same when they arose? King came up with the concept for Pet Sematary when he returned to Maine and found that the children in his roadside town had made a cemetery for the pets. That, and other real life events formed the foundation for Pet Sematary, one of King’s most personal and prolific books ever. The original Film was also written by King, and like the Book, it remains a beloved classic. 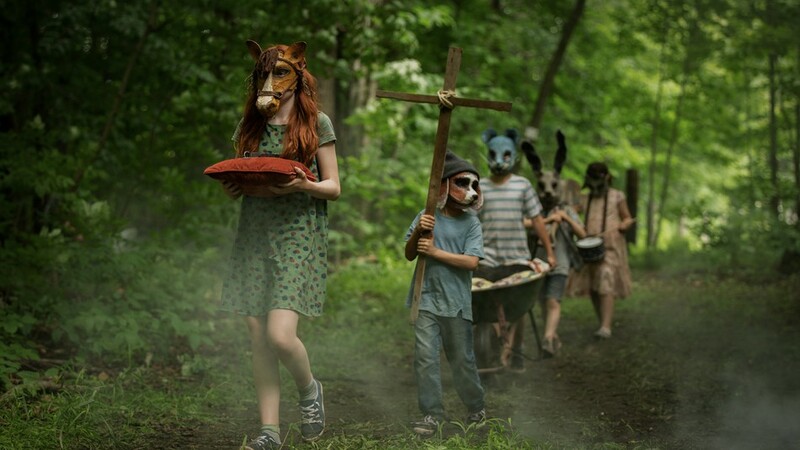 Pet Sematary in its latest incarnation, is thus the first true remake of the source material; a reimagining for a new audience. An audience that’s been reared on different films, with different tones, cues and quirks. The Remake works with this in mind. It updates the Film with subtle story changes, and more importantly, overt stylistic changes. Kevin Kӧlsch and Dennis Widmyer co-directed the Film, and have proven themselves more than capable with their first major outing. They are extremely familiar with the source material, and honored both the Film and Novel in their update. Jason Clarke and Amy Seimetz are also great in their roles as Louis and Rachel Creed. With their performance we gain a perspective on the contemporary battle between secular and religious beliefs. Something that sheds light on this story about death. The star of the show is Jeté Laurence, who plays Ellie Creed, the daughter of Louis and Rachel. This girl’s vast emotional range helps set up the story and drive it through its third and final act. John Lithgow also is great in his efforts to fill the shoes of the late legend, Fred Gwynne. Sure, this may not be satisfactory for purists, but for the wider world looking to be scared, this Film is sure to do so. Yet, another great film made in Canada, and in Canadian theatres now. Paramount Pictures Canada release PET SEMATARY Friday, April 5, 2019.